The fact that I’ve never seen an episode of Carpool Karaoke is one of the only traits that I’ve ever wanted to take to the grave. I’ve weathered countless family holiday dinners, Facebook scrolls, and music blogging assignments without ever seeing James Corden make the face when he sings next to a surprisingly game pop star. Dear reader ... today, my perfect world comes crashing down. Coming into this task, I knew nothing about the show’s format, besides James Corden + car + singing + artist with something to promote. 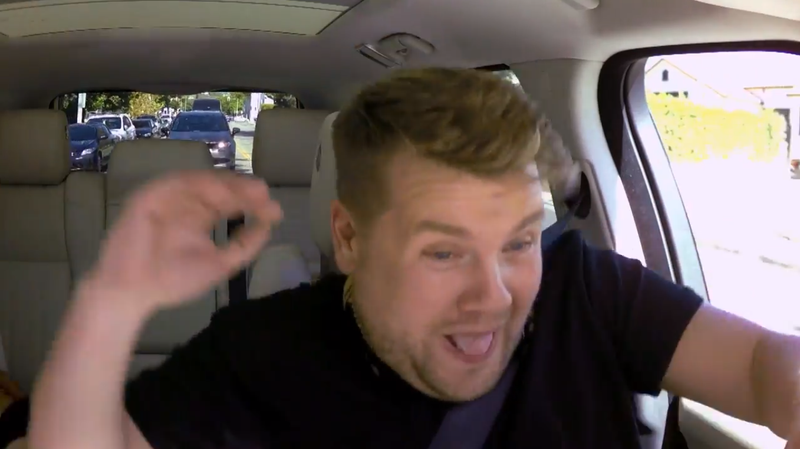 And let’s just say my introduction to Carpool couldn’t have come in a more aggressively milquetoast and British way than with Sam Smith harmonizing his own songs along with Corden. When Smith arrived on the music scene with Disclosure’s “Latch,” he was an exciting enough new artist. Now, he’s tripled the gospel choirs, and your aunt shares him on Facebook. 1. Why is this not called Karaoke Cab? There are no carpool lanes involved. This is not a faster trip. 3. How does this not result in a six-car pileup? 4. Does Sam Smith have a new album out tomorrow? Yes, yes he does. 5. How did Sam Smith last the entire video without crying? 6. Why can’t they hire the Cash Cab guy to drive, leaving Corden in the backseat to make the roads of Hollywood infinitely more safe? 7. Does Simon Cowell like James Corden? 8. James Corden’s collar looks too tight to drive safely. 9. Who among us wants James Corden to sing their own songs? 10. How do you not roll out of the passenger door after hour three?